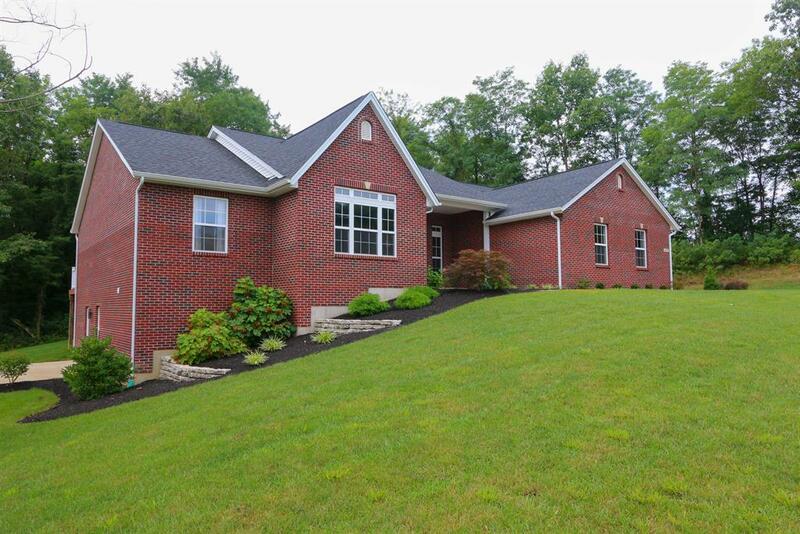 Custom built 4 bedroom 3 full bath all brick ranch features lg eat-in kitchen w/granite. Hardwood thruout. Lg Great rm w/stone fp & walkout to screened porch, lg master w/walkout to deck. Finished LL w/family rm, rec rm, bedroom, full bath, walkout. 3 car garage. On double lot.